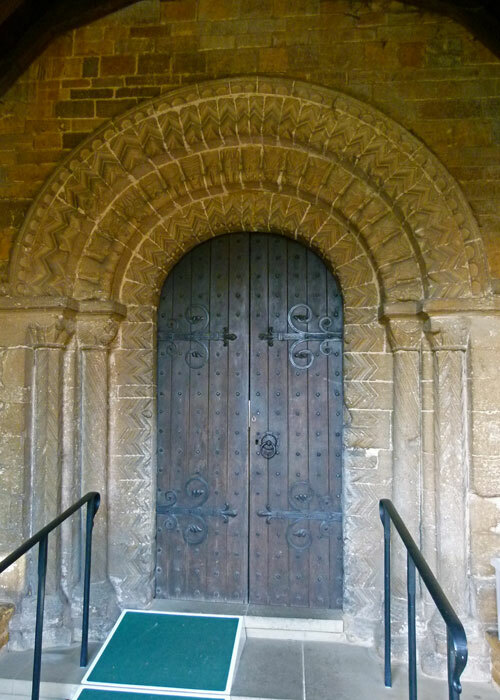 There’s no need to hurry to see the unique Saxon church at earls Barton in Northamptonshire; it’s been there for a thousand years or more and will probably wait for you. There was probably a settlement at Earls Barton as early as the 6th century – possibly even a Celtic one before that. 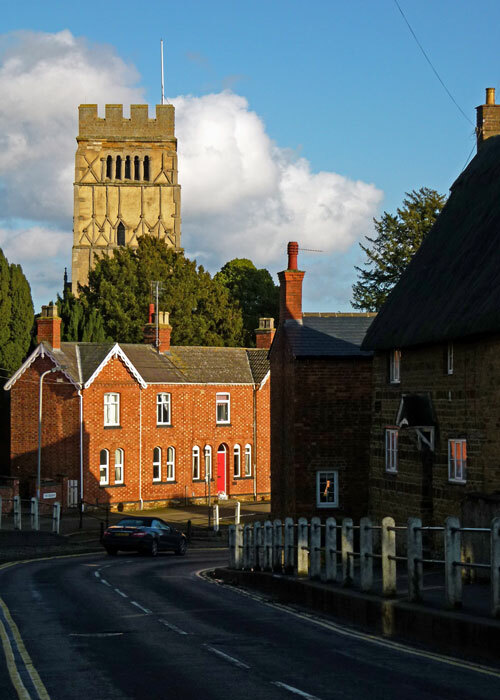 By the 11th century it had a population of about 100-140 and was known as Bartone or Buartone – ‘barley farm’ – with the Earls prefix coming from the 12th century lord of the manor, the Earl of Huntingdon. Today, it’s considerably bigger with a population of around 6,000 – a bustling, pleasant-looking, place, with a long-established reputation for shoe making. Barker Shoes are based in Earls Barton. 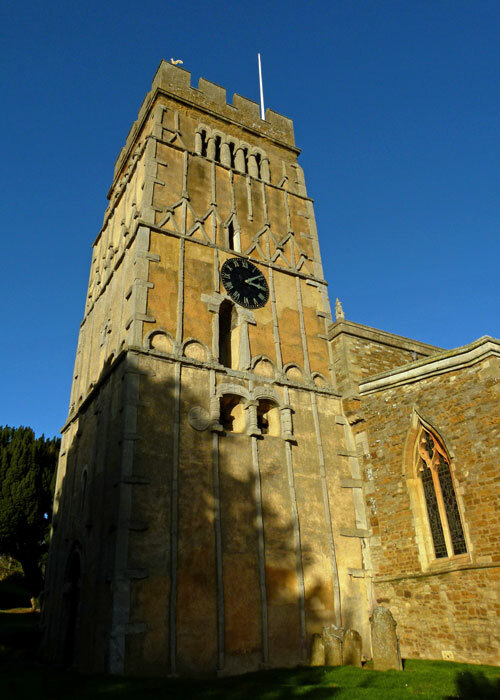 But what we’ve come to see is All Saints’ Church and, in particular, what has been described as “the finest existing specimen of pre-Conquest work and the most noteworthy architectural monument of its period in England” (British History Online) – the tower. The experts generally agree this was built around 970AD, when King Edward the Peaceful was on the throne. By all accounts, he wasn’t as agreeable as his nickname suggests, but he did receive the submission of the Kings of the North. According to legend, Edgar was rowed across the River Dee by Kings Kenneth of Alba, Malcolm of the Cumbrians, Magnus of Man & the Isles, Donald of Strathclyde and Iago of Gwynedd, as well as sundry princes. But we digress. I reckon the tower is stunning – what do you think? It was built on a rubble foundation no more than 1 foot (300mm) thick, yet the structure is about 62½ feet (19 metres) high – up to the battlements, which were added in the 15th century. The construction is rubble, covered with render and decorated with strips of limestone. Some experts think that these strips imitate timber framing, a construction method the Saxons were more used to. Given that the Saxons commonly did not build in stone, someone wealthy might have been involved somewhere. 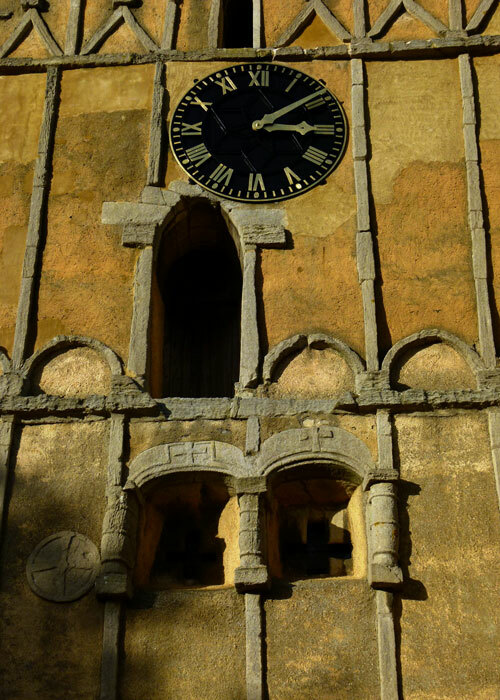 The tower is believed to have been multipurpose – the ground floor being used for worship and the upper floors for living, storage or even as a military lookout. Services would also have been held outside, possibly conducted by a priest from an upper level, preaching out and over his flock. I get a real kick wondering about the people who built this, what they were like and what happened to them. I doubt the idea of folk from the 21st century admiring their work ever entered their minds. The rest of the church is a delight with, it is said, something from every century from the 10th onward. 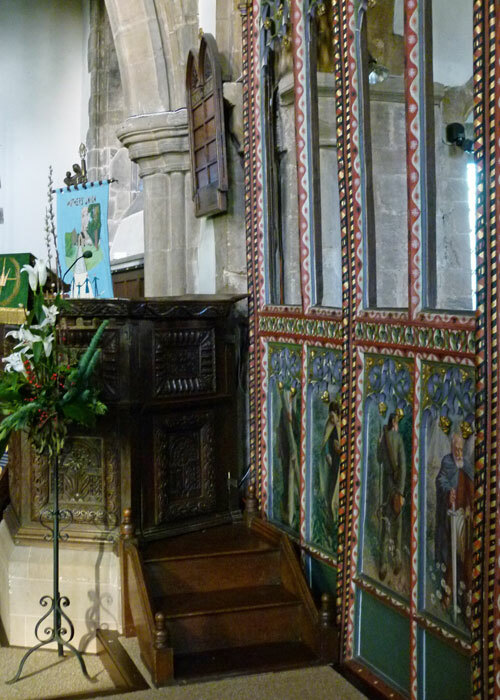 The nave is Norman and there are some lovely Norman features, including some decorative ‘blind arcades’. 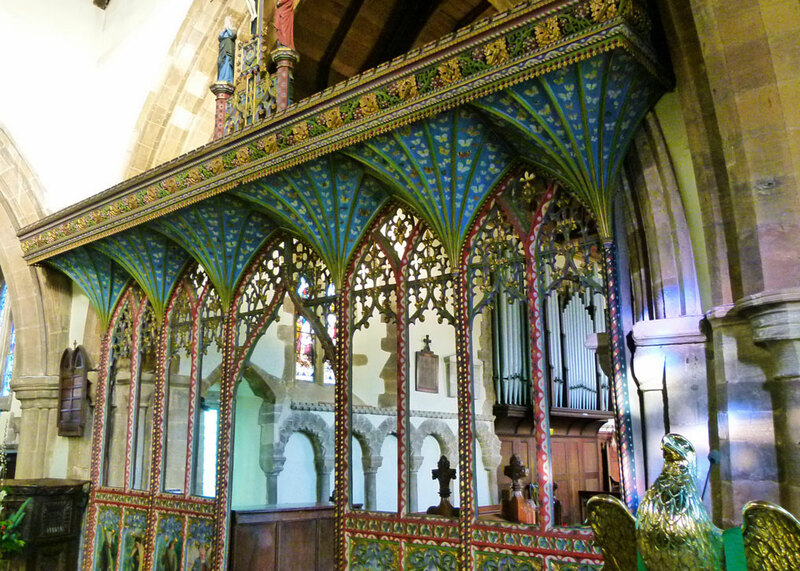 Particularly impressive is a 15th century rood screen, which was repainted in 1935; my photos do not do it justice. 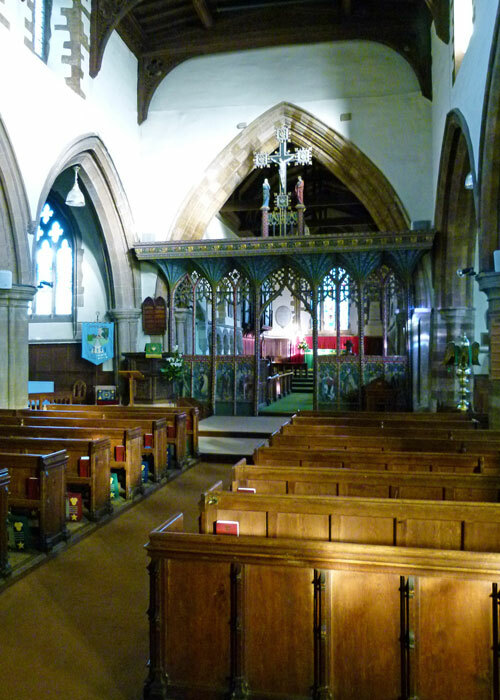 Like most old British parish churches, it’s fascinating to wander round; soothing to sit and have some quiet contemplation, reflecting on all those souls that have sat there before you. 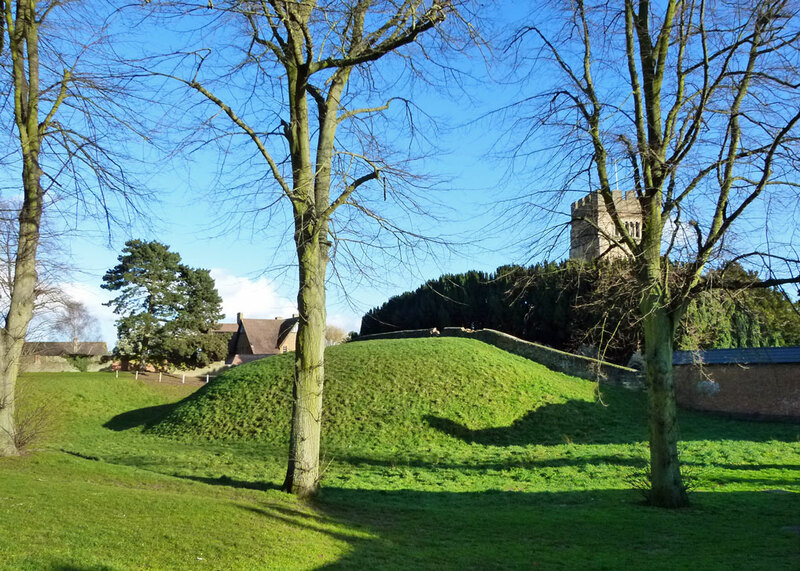 Outside and to the north of the church is a curious feature, a mound, known as ‘Berry Mount’. It’s almost certainly man made and looks like some kind of defensive ditch. Some believe it was part of an unfinished castle, or that the church once joined a fortified manor. The Shell Book of English Villages specifically says it is a Norman castle motte. The theory I prefer is the local legend that there’s an entire army buried underneath it. This is a wonderful church, both inside and outside! 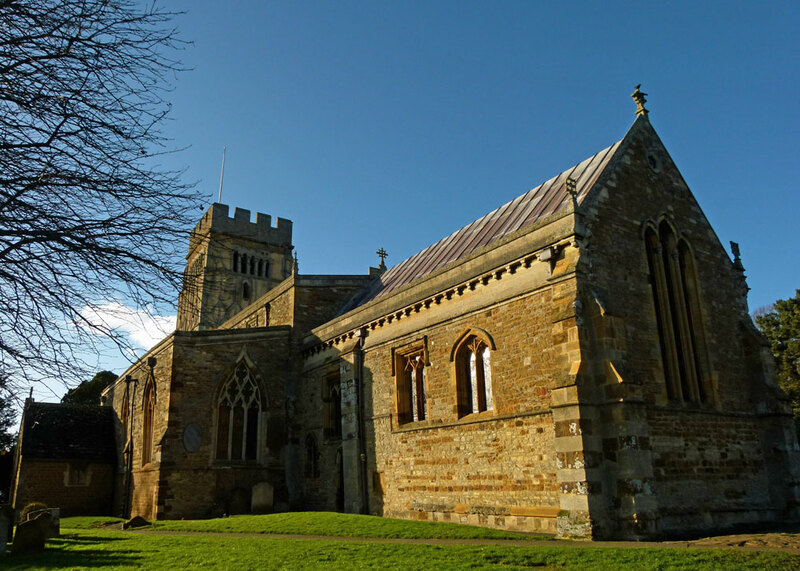 Such a lovely looking Church, I like your photographs. Another truly remarkable church. I don’t think I’ve ever seen a building that old, though perhaps some of the foundations of ruined castles we’ve seen in Scotland would be that old. But not in that condition. Looks great! The church and its tower looks worth seeing for one’s self. Even a glance at the pictures tells me immediately that it it is Anglo-Saxon, i.e. English from before the Normans came, to rule, and the theories about what its styling and detail finish was intended to invoke must make it well worth comparing to other of our old English, pre-Norman churches and their towers. Absolutely, Michael. You should try to see it, if you can. Thanks for dropping in! Hi Mike, There is always so much information on your blog of interesting places to visit in your beautiful country. It makes me want to step in my car, drive to Dunkirk and take the first boat to Dover. Thank you! For your kind comment on my blog too! What a gorgeous church! Lovely architectural details. Beautiful series, Mike! Thank you so much for sharing. Thanks, Linda; and thank you for dropping by! Another Northants gem! 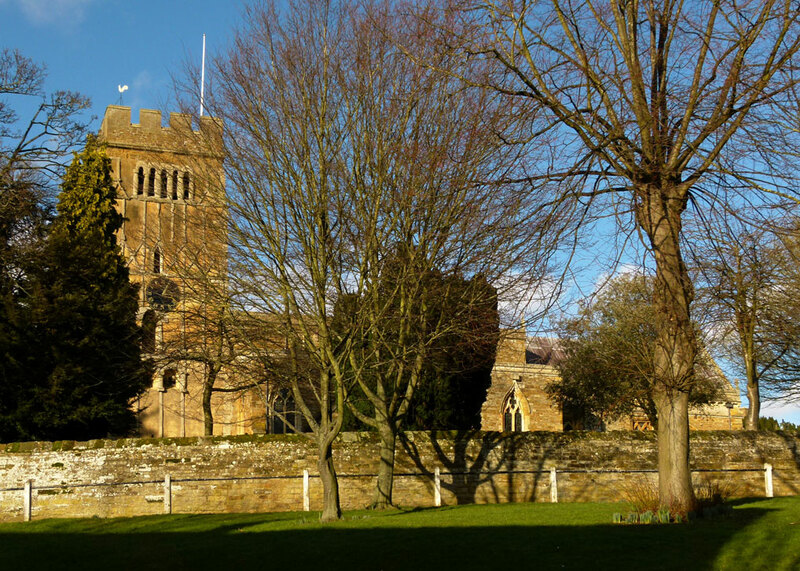 Thanks Mike – I feel a visit to Northamptonshire coming on! Hi Mike – I see what you mean about BerryMount – and yes your idea is the best … but rather ghoulish. 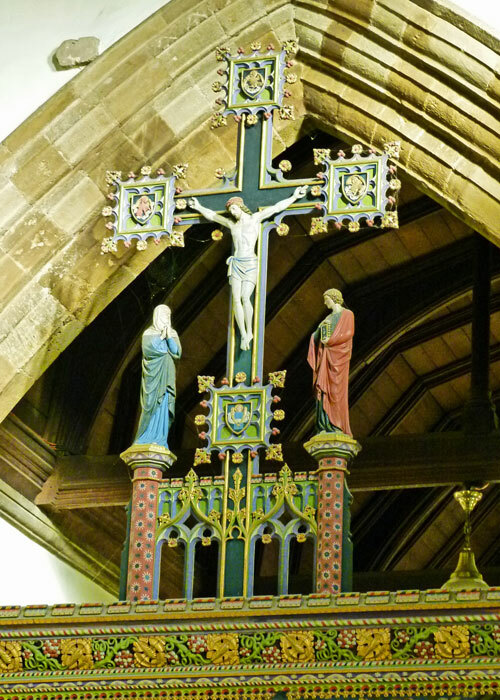 Amazing church … the Rood Screen is superb – and your pictures certainly show us it is worth seeing … Would the dead by Civil War dead? What a beautiful, distinctive church! An entire army buried there is my favorite too. That tower is magnificent! and would never survive a Wisconsin freeze and thaw. They dug up some Vikings (?) from beneath the South wall back in the early 80s if my memory serves me right. I didn’t know that, HA. Do you know whether they were all Vikings, or a mass grave of mixed Danes/Anglo-Saxons? That is a grand church. Something to be cared for so it lasts another millennial. Lovely to see this post on Earls Barton which I have been wanting to visit for many a long year, but I never seem to pass through or go near that area.